If only the mountains could have walked away, Andrea, if only. If only they had picked themselves up and treaded over the invading Turks on that dark night in Cyprus in 1974. Instead, to this day, they are a constant reminder of what we lost with the Turkish flag carved and painted on the soil and the words: ‘Proud to be a Turk’. The mountains are a daily slap in the face to any Greek-Cypriot driving towards the divided Nicossia. Because my parents were born in the now unoccupied south of Cyprus, I was never told firsthand what it was like to flee the north – well, that is, not until Andrea’s poetry spoke to me. The mountains couldn’t walk away was first launched in Europe in 2006 where it received positive reviews and publicity. The Melbourne publication, launched this week by Christos Tsiolkas, Arnold Zable and Tim Colebatch, was one of celebration, but more importantly, one of seriousness. Fortyfivedownstairs was set up like a small amphitheatre – there were more people there than any other book launch I’ve attended. I think that’s because Andrea’s book is one of significance, for Greeks, Cypriots, refugees – for Cyprus. When the higher powers of the world take control and commit injustice, from underground the arts will rise and make a statement, and this is what Andrea’s book does successfully. We will not be silenced, we will be heard. ‘My book is a protest against the injustices my island suffered and the indifference of the international community,’ she said. Each of the launchers read some of Andrea’s poetry; it was haunting to say the least. ‘Without memory there is no hope,’ Christos said before his reading. ‘These are poems that give us hope.’ When speaking of Andrea’s poetry he said, ‘it is full of life and inevitably, full of shadows.’ Christos spoke of refugees who arrived years ago, but more crucially, of refugees arriving in Australia today, and their detainment in Australia. ‘The refugee voice is an important voice,’ he said. Arnold continued from this, speaking of young children suffering in detention centres. Refugees and migrants, he said, have a before and after life. They belong in a place in the before life, then almost overnight there is an abrupt change…and you can never go back home. ‘The after life is lived in the shadows of the before,’ he said, speaking of nostalgia, something he is passionate about in his writing. Nostalgia is a longing for the past, he explained, it is the pain of longing for the return. It is not sentimentality, it should not be mistaken for sentimentality – nostalgia is an aching and longing for a place, it is a lament, a wailing, a cry, and we hear this cry, we feel this cry, in Andrea’s poetry. My answer to that question Tim is yes, they do, they painfully, undoubtedly, and achingly do, and always will. We still have missing people. 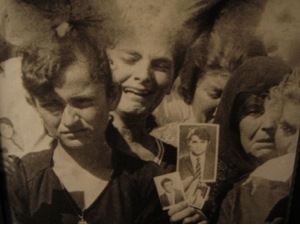 Only recently a mass grave was dug up on the Turkish side with executed Greek-Cypriots. Then xehno. I will never forget. The mountains couldn’t walk away is available at Readings bookshops. Wow, this sounds like a very powerful book. Thanks Koraly. 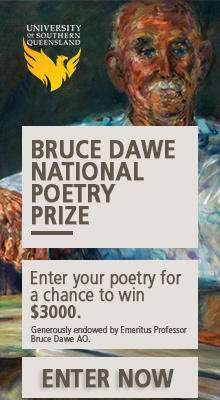 I wonder if you are able to quote some lines from it through this blog? I think poetry has an important role to play not only in truth telling but in that memory preservation which you quote Arnold Zable and Christos Tsiolkas speaking so eloquently about. It is, especially because it captures the refugee voice so vividly. Thanks for your comments. Stay tuned, I will see if I can post a few lines. Thank-you for including Tim’s sentiment in your review as for me what he raises is pertinent. My father was also born in the south of Cyprus (a country that has been colonised almost continuously throughout history) and what I find really awkward in an Australian context is that I am constantly explaining that I (or rather my heritage) is not Greek, although my Grandparents are Orthodox, and not Turkish although my Grandfather was educated in the only in the only school in the village which was a Turkish speaking school, it is Cypriot. The poems are beautiful and there is no question Cyprus was invaded. But for many Australians with Cypriot heritage the immigration here happened pre-war, when villagers of both religions and languages (for lets face it the blood is the same) lived together. Why do we need the Greek preface to Greek-Cypriot in Australia? I don’t identify as Greek-Cypriot I identify as Cypriot. The ethnicity I have as Australian holds a Cypriot history that is more than an opposition of Greeks and Turks. Oh and your blog on Wogs -have a look at recent lingua franca program on radio national. Thanks for your writing. Yianni, thanks for your comments. I also refrain from using the word ‘Greek-Cypriot’ and instead just try and say ‘Cypriot’ because I don’t identify with Greece other than speaking the same language, although we have a different dialect and even our words are different. The only time I use it is if I want someone to know that I actually speak Greek rather than Turkish. My own research into the war in Cyprus is that Greece also played a hand in the division, so why would I want to call myself Greek? However, I know many other Cypriots that disagree. 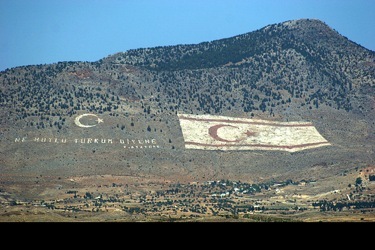 But If we have no hope of reunification if we go around calling ourselves Greek-Cypriot and Turkish-Cypriot.